For generations the brotherhood has watched over the borderlands in their dedication to truth, justice, and the defense of the kingdom. Along the southern border, a patrol circuit has failed to return from a routine sweep. Understaffed and stretched thin, Fort Lanward calls for your assistance. Your mission is simple: bring your brothers home. 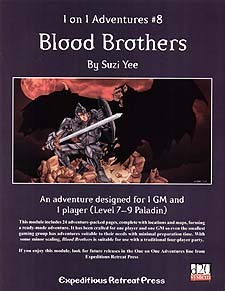 Requires the use of Dungeons & Dragons, Third Edition Core Books.